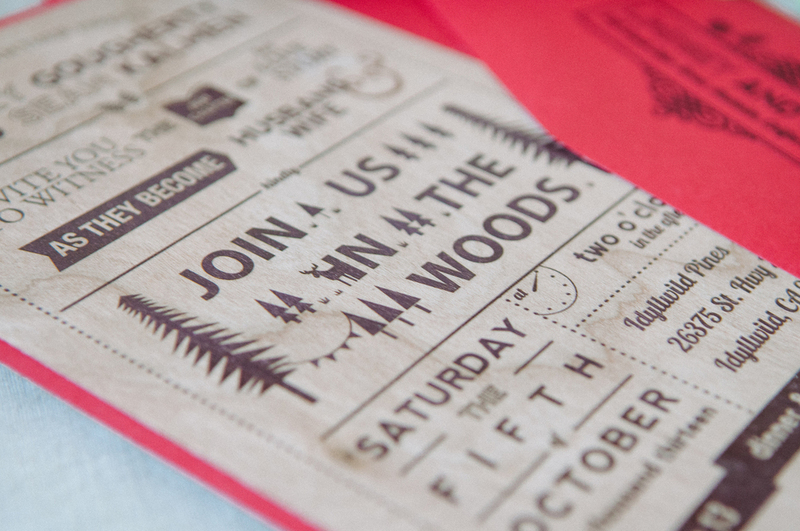 Your invitations are really important for your wedding – and that’s only natural, really. After all, these cards are the “preview” to your wedding and you want everything about them to be perfect: from the design to what’s written inside. What are you going to say in your wedding invitations, though? What are the words you should use? We have gathered some suggestions, so read on if you want to find out more. · Traditionally, the names of the parents of the bride come first, followed by the name of the bride, the request line, the names of the parents of the groom and the name of the groom. In very formal situations, Mr. and Mrs. are used before the names of the parents. However, these days it seems very old-school to do this and most brides and grooms choose to use their parents’ names as such (e.g. “John and Marry Jackson”). · In some cases, couples choose to have their names written first on the invitations and add a “together with their parents” (e.g. : “Sally Johnson and Ben Smithson, together with their parents…”). This is usually done when the couple pays for the wedding on their own with little or no financial help from their parents. · Your request line can be as formal or as informal as you want it to be. However, keep in mind that it should match the level of formality of the wedding itself. For example, a semi-informal way of inviting guests would be “request the pleasure of your company” and an even more informal way of doing it would be “invite you to share and celebrate”. Want your wedding invitations to truly reflect the beauty behind your love story? Want them to be really gorgeous and to match your wedding theme in a perfect way? Contact Tangé Design today and let’s have a talk about your ideal wedding stationery! Typography is so important when creating your wedding invitations! Every detail of the wedding planning process matters and it should be integrated into the whole wedding theme itself. Of course, your wedding invitations should make absolutely no exception from this. On the contrary, your invitations are the first glimpse your guests get when it comes to the Big Day – so you will want everything about them to be perfect. And of all the elements that make for gorgeous invitations, typography is one of the most important ones. How to pick the right typography for your wedding stationery and invitations? Read here and find out more. · If you want a bold wedding that’s full of uniqueness and energy, settle for a typography that speaks about that. Large, colourful, geometrical-shaped typography works best with very modern and youthful weddings and it can add a lot to the appeal of the entire wedding itself. · Planning a vintage wedding? Make sure the typography on your invitations matches the “decade” you want your wedding to be “set” in. For instance, if you plan on having a wedding inspired by the 60’s, your invitations’ typography should be funky and very daring. · If your wedding is elegant and timeless, your typography should be the same. Search for something that imitates handwriting in a beautiful way to add a romantic touch or for a typography that incorporates arabesques to add classiness and uniqueness to your wedding invitations. · Playful typography is also an option and it looks amazing with weddings that are full of personality and originality. From letters that imitate the Scrabble game to combining diverse typographies into an eclectic wedding invitations, the range of possibilities is almost limitless. Don’t be afraid to use your creativity! Searching for someone to help you bring your dream wedding invitations to life? Contact Tangé Design and we will make sure to design invitations and stationery that truly suit your wedding, your personality and your style. Your wedding day is a truly important moment in your life – and you want everything to be flawless from the very beginning to the very end. Obviously, your wedding invitations play a crucial role in this – especially since they are the first glimpse your guests get to see of your Big Day. How to choose the most beautiful wedding invitations and how to make sure they are tied into your wedding theme? Read here and find out more. · Be creative and think beyond the stereotypes. With a bit of imagination and with the help of a good designer, even the wackiest ideas can come into reality. For instance, if you plan on having a rustic wedding, don’t limit the design of your invitations to trees, cowboy hats and/or other common rustic elements. · Make sure the colors match. By the time you start thinking of the wedding invitations’ designs, you should have already decided on what your color theme is. Make sure your wedding colors and (most of) the colors on the invitations match, so that you can connect them to each other. · Don’t be afraid to add a bit of humor. Guests love that and it will give them a sense of comfort when it comes to the approaching Big Day. You don’t have to crack the hugest joke – but a small pun or a cute image incorporated into the design of the invitations will be more than welcomed. Searching for someone to help you design wedding invitations everyone will love? Contact Tangé Design and find out more about our wedding invitation design services. We have a true passion for beauty, so you can rest assured that we will design the most gorgeous couture invitations for your Big Day!